Almost a year and a half has passed after the end of the 7th Season, and fans finally had the opportunity to see the trailer of the 8th season of Game of Thrones. It surely is doozy. Of course, any plot would be welcomed after such brakes between seasons — counting a three second look at Sansa, Daenerys, and Jon in an earlier HBO first appearance — so this extended teaser trailer is a luxurious, especially because it contains some rather dark prophesy for the Starks. 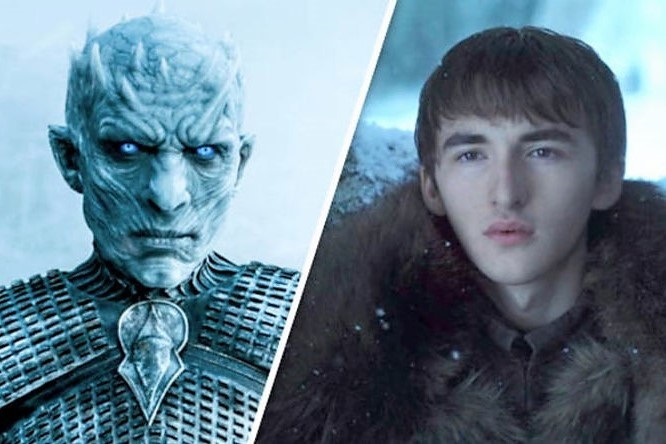 Most prominently, the Game of Thrones theory that Bran is the Night King is looking better than ever cheers to the new teaser. In the teaser, which was premiered before the 3rd season True Detective on Jan. 13, three of the four remaining Starks walk down a torch lightened hall in their family crypt. Jon Snow is the first to go, and he passes by a statue of Lyanna, who the audience now knows is his mother. Then Sansa passes, walking by a statue of her mother - Catelyn Stark. Arya does not walk by any statue, but a viewer still hears Catelyn speaking as she struts confidently in the crypt. Jon also walks by Eddard Stark's statue, with a voice reiterating what he last told Jon: "You are a Stark. You might not have my name, you have my blood." But, while these talks with dead family members is pretty sweet, if not a bit eerie, there is one glaring oversight: Bran Stark. Where is Bran?